Make sure you check your version before you start building! Do not install both BCM847DS and MAT14s (v2017) (or THAT300s in version 2015)! 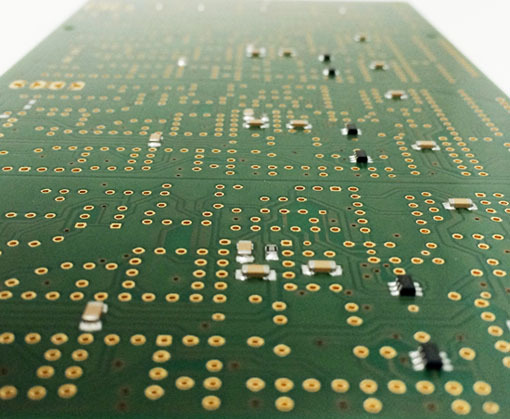 Please not that this is a DIY project with a rather large and fairly dense board so previous soldering- and DIY-experience is recommended. 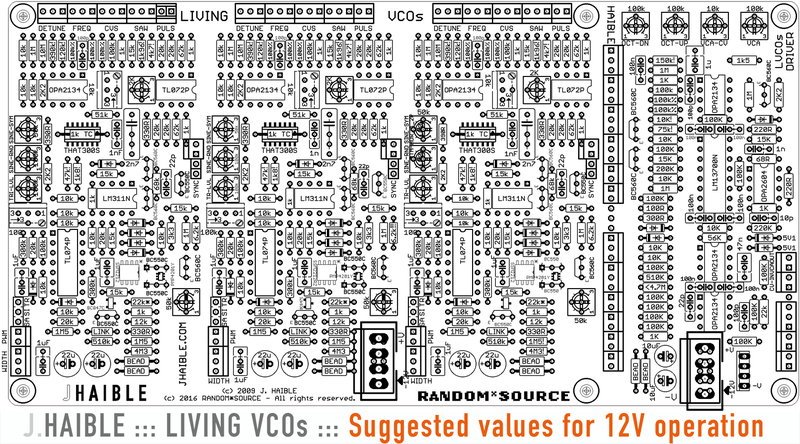 Power connectors: Please pay attention to the orientation: +V is at the top, -V at the bottom / edge of the board. 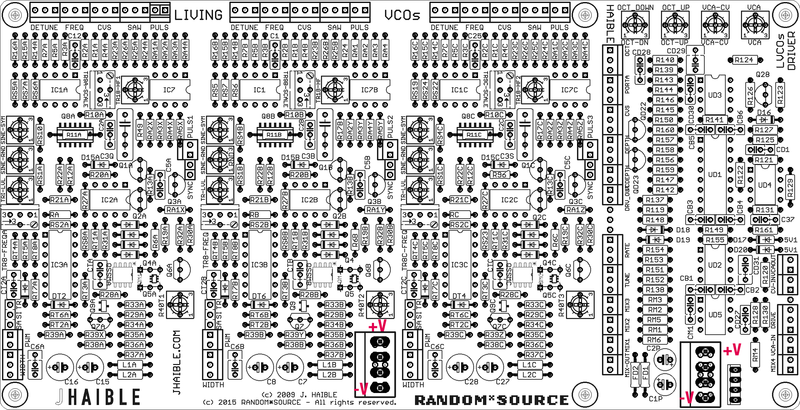 The board marking may be incorrect / misleading for euro power connectors. 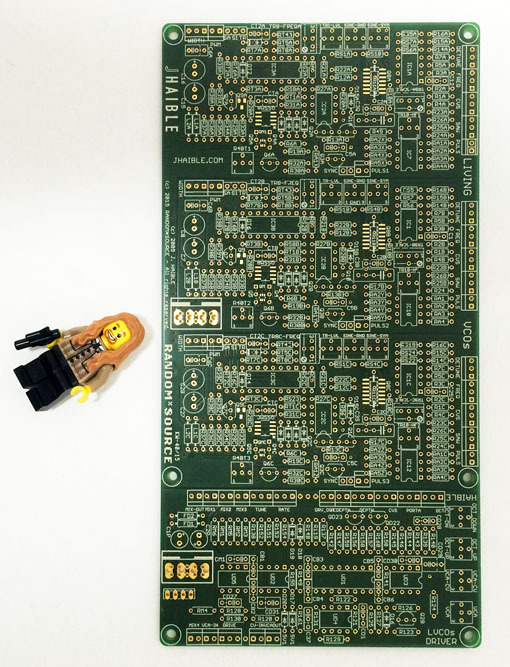 Make sure you (double) check before powering up the board!! 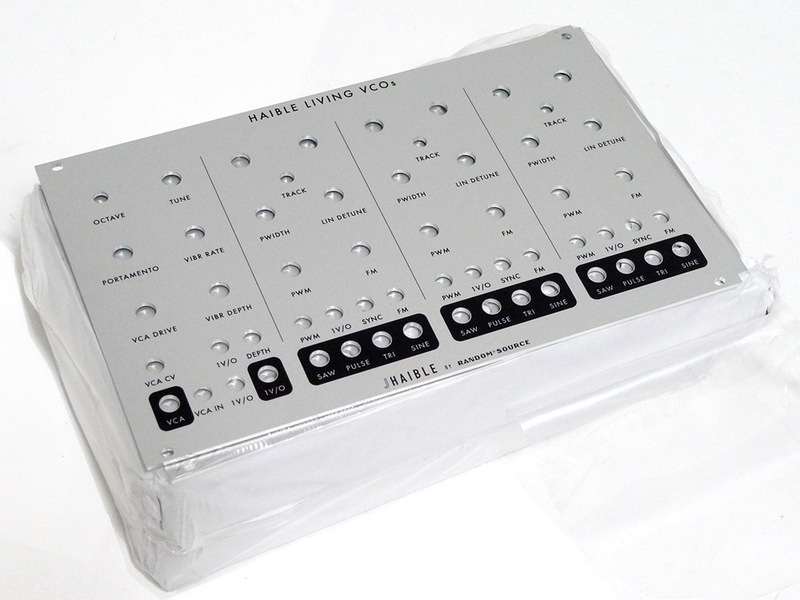 Tracking and Calibration: the LVCOs are designed to imitate vintage oscillators and tracking and calibration of the original version have been perceived as challenging by some people. Based on some tests in Spice and real life it appears that on the R*S version with BCM847s or THATs decent tracking - according to Spice over 8 octaves(!) - and easy 1V/Oct calibration can be easily obtained by (i) using an OPA2134 for IC1x (top left on each oscillator) - instead of the TL072 Jürgen specified - and (ii) avoiding the HF compensation completely - it seems rather detrimental to tracking, so try to turn the HF trimmer(s) all the way down or use a link between pin 1 and 2 (center). 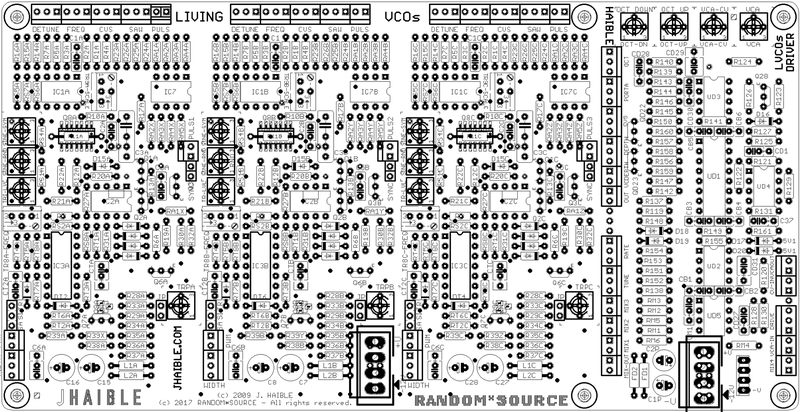 Bill of materials (BOM) with suggestions for PWM and tracking / HF comp. Please inform me by email (or via the contact form) about any errors you find - Thanks! All information provided is strictly for personal / educational use only. Please do not distribute / mirror. 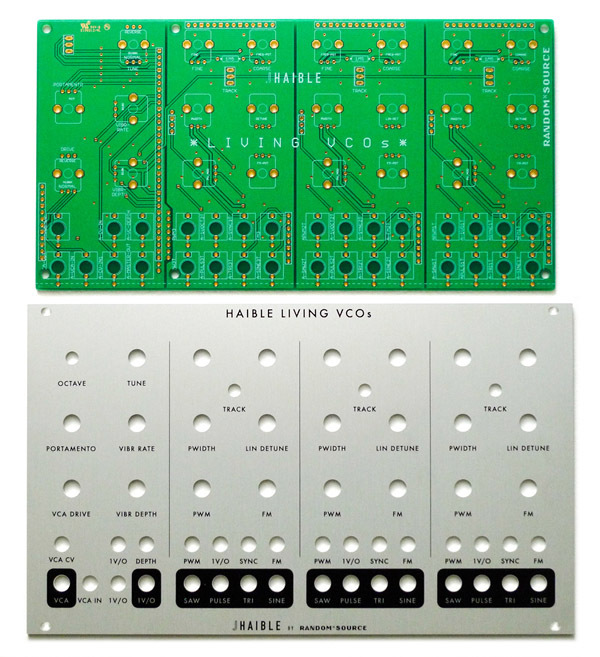 As an addition to the Living VCOs main pcb, a front panel + panel interface pcb is available for Eurorack. 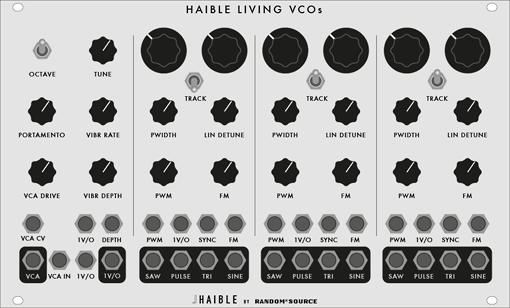 Please note that the Eurorack bundle is an addon that requires a (generic) Living VCOs main pcb by Random*Source (available above) - this will not fit an original Haible Living VCOs pcb! 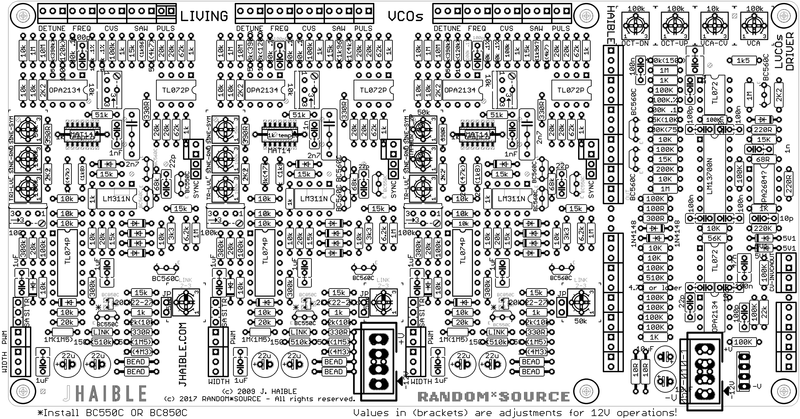 New: V1.01 of the panel pcb allows to choose the direction of the LINEAR DETUNE knobs and to change the taper of the Portamento knob by adding a resistor. 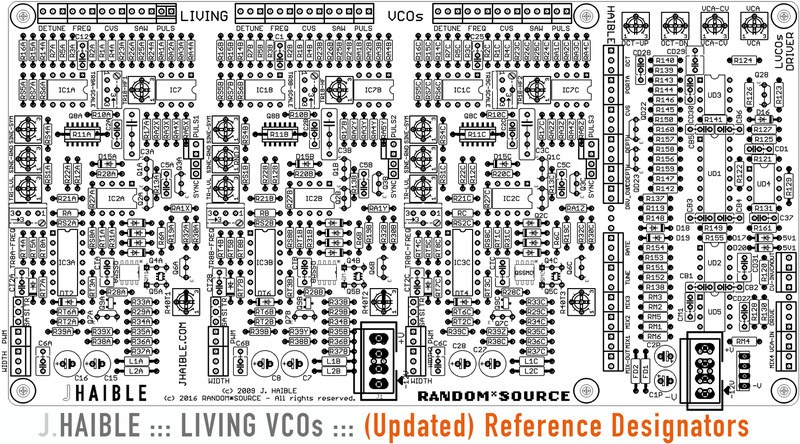 Living VCOs main pcb is not included!